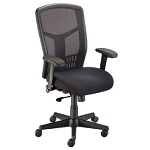 Durable and economical, this task chair features a pneumatic height control, polypropylene back shell, a height and depth-adjustable hinged backrest, dual wheel casters and a 20" diameter reinforced nylon base. 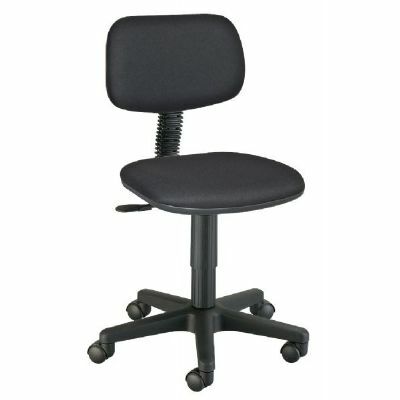 Seat height adjusts from 16" to 21". 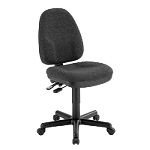 Seat cushion is 17"w x 16"d x 1¼" thick. 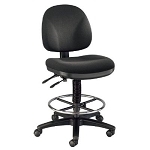 Backrest is 15"w x 9"h. Available in black only.